Whether you follow politics or not, there are many important lessons that leaders in talent management and HR can learn from the recent presidential election. Before you dismiss the relevance of this learning opportunity out of hand, spend a few minutes to consider the following lessons from the election that may be valuable to leaders in HR and talent management. Nearly every analysis after the election showed that the use of what is known as “big data” had a tremendous impact on the outcome of the election. In addition, relying on data-based decision-makers like The New York Times’ Nate Silver resulted in numerous dramatic wins. In direct contrast, relying on hunches, feelings, or the so-called experienced experts and pundits often resulted in embarrassing losses. One of the traits of these pundits was optimism, but the results showed that letting optimism drive your decision-making caused many to self-select and rely on data and polls that favored their cause. The winners instead focused on the data that indicated the possibility of the worst-case scenario and they acted to minimize the chances that it would actually occur. Talent management big data lessons – Almost all talent management decisions in the typical HR function rely on limited (small) HR data. It is extremely rare to find a recruiting function, for example, that uses the big data and the data-gathering approaches that were used by election teams to fully understand their targets (i.e. census data, consumer data, demographic data, focus groups, and market research). Some leaders in HR are beginning to talk about big data, but the reality is there is no big data use within most HR functions. Big data can help you identify productivity problems, predict where turnover problems will occur, help you increase innovation, and make your leaders more effective. 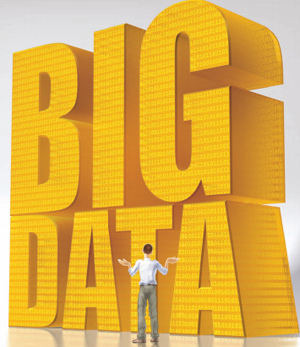 Big data sets within a business that talent management should use might include employee profiles, output data, error rates, production and delivery delays, staffing levels, absenteeism rates, training data, Six Sigma data, performance appraisals, reward data, performance management data, and revenue-per-employee calculations. Once again, post-election analysis showed that the winning side almost always developed algorithms (i.e. data-based formulas) as a basis for their important decisions on what tools to use and where to place the resources. Relying on algorithms resulted in a consistent and effective approach to common problems and opportunities. Talent management lessons on algorithms – My research shows that out of the entire list of Fortune 500 firms, there is only one algorithm-driven HR function, and that firm is Google. Not only is Google the leader in algorithm-driven people management decision-making, but is literally the only function where, “All people decisions … are based on data and analytics.” Those algorithm-driven decisions include hiring, retention, leadership, diversity, compensation, talent management, and collaboration. Google’s “math camp” approach is driven by its unique but powerful “people analytics team” and their data-obsessed HR leader, Laszlo Bock. For example, the HR function measures the length of the wait line in its cafés to ensure that they are long enough to provide time for employees in line to collaborate with each other. Google algorithm-driven approach to effective leadership, improving diversity by increasing the number of women engineers, and predicting possible turnover are each simply amazing. Not only does this algorithm-driven approach make HR more effective and admired, but it also directly and measurably impacts business success. Post-election assessment showed that the analysts that relied on historical election patterns to drive their actions simply got it wrong (from the 2004 and 2008 elections). Assuming that past patterns would repeat resulted in the use of many “dated” campaign approaches. Failing to understand the changing electorate and the evolving demographic patterns and their influence on voting resulted in many embarrassing losses. The most accurate decision-makers instead relied on real-time data in order to modify their resource allocation and to cause them to switch to updated tools in order to meet the constantly changing environment. Talent management lessons on historical data – At most HR functions, every bit of the data that is available is historical. For example the most common HR data, turnover data, recruiting data, workforce productivity data, and even headcount reports all tell decision-makers “what happened last year” (or last month at best). Relying on historical data is fine if the world doesn’t continually change, but unfortunately the world of talent management is highly volatile. If HR leaders and business managers are going to make excellent people management decisions, at the very least they need real-time data. However, the very best go a step further and produce and use “predictive analytics,” which forecast and tell you what is likely to happen over the next few months. Predictive metrics provide decision-makers with sufficient lead time so that they can take advantage of opportunities and prevent or at least mitigate upcoming people-management problems. Unfortunately once again, the availability and the use of predictive metrics are only in their infancy in HR and talent management (although once again Google has an algorithm for predicting upcoming employee turnover). In a similar light, relying on a corporate culture and “past practices” that might’ve worked extremely well in the past can lead to major problems when the underlying assumptions behind those practices have shifted (like the unemployment rate, the business growth rate, product changes, and employee expectations). A superior approach is to be forward-looking and to develop “next practices” that are designed for the current and upcoming environment that HR operates in. Both sides in the election realized early on that they needed to concentrate and focus their resources and efforts in geographic areas and on segments of the population that would have the most impact on the final results. As a result, staff and resources were focused on important “swing states,” high-priority ZIP codes, and key demographic groups that would have the highest impact on the overall election results. Political tools like focus groups, robo calls, home visits, and get-out-the-vote efforts were also prioritized and used, based on the level of the results that they produced. Talent management prioritization lessons – Most HR functions practice the principle of equal treatment in everything they do in order to be perceived as “fair.” That means that every employee, job opening, manager, and business unit are treated exactly the same. This equal treatment approach is certainly not used by other business functions, where using a “prioritization schema” is standard practice. Supply chain, customer service, production and sales rely heavily on prioritization. Even customers are prioritized based on their profitability, volume, and growth rates. A handful of firms like Google are the exception to the rule because they clearly prioritize important areas like engineering positions, revenue-generating functions, and top-performing and innovative employees. Prioritization in talent management should start with a focus on the business units that are growing and that contribute the most to corporate revenue and profit. Recruiting efforts should focus on mission-critical and high-impact jobs. Retention efforts should focus on top performers and high-impact employees. HR tools and programs should also be prioritized. A recent study by the Boston Consulting Group demonstrated that not every HR process makes an equal contribution to major business goals like profit growth and profit margins (recruiting, onboarding, and retention had the highest impact). As a result, HR services, tools, and programs should be funded, staffed, and used based on their effectiveness and their business impact. HR staff and budget resources should also be allocated to ensure that the most money and the best HR talent are allocated to areas where they can maximize their impact. Finally, in order to increase HR funding, HR leaders must work with the CFO’s office to quantify in dollars and to more clearly demonstrate the direct impact that great talent management has on business results. For years I have advocated that HR and talent management can learn a lot from other business functions like quality control, finance, CRM, and supply chain. Talent managers can learn a lot from other industries like entertainment and sports that rely heavily on people but that are more results driven. Today, I am adding election management as another area where HR leaders can learn many lessons and adapt their successful approaches. If you think that this “parallel benchmarking” approach is a stretch, not only are you mistaken but that narrow view will limit your learning and as a result, it will damage your firm and the HR team that you work with.